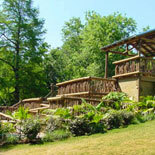 Audubon Zoo blends the exotic excitement of animals from around the globe with the serenity of its lush gardens. Ride the Endangered Species Carousel, Simulator and Swamp Train. 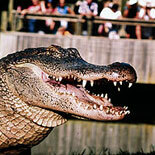 See an environment that looks so natural, with cypress trees, Spanish moss and swamp favorites like the white alligator. This exhibit is a slice out of a Louisiana bayou. Visitors can also see a trapper's cottage, sample some Cajun cuisine, witness a real-life 'gator feeding or watch the black bears at play. Discover the amazing world of primates with tamarins, gorillas, lemurs and siamangs, just to name a few. 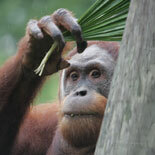 Also in this area are the Sumatran Orangutans whose family includes Feliz, Berani and Blaze. Audubon Zoo welcomed a new female orangutan to its exhibit with the birth of Menari in 2009. Her birth was a heralded event because Sumatran orangutans are an endangered species and their numbers continue to decline in their native habitats. Without help, the wild population is predicted to become extinct within the next 15 years. 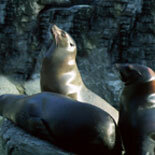 The Odenheimer Sea Lion Pool, located in one of the most historic sections of the Zoo, is a favorite spot for visitors. Always swimming with activity, the pool is home to five sea lions who love to show visitors just what it takes to be a sea lion. In addition to their regular routines at Audubon Zoo, the sea lion staff trains with all of the sea lions every day. They all learn the same commands but each animal has a different delivery. For example, they all know how to wave their flipper but each one has their own wave. In between all the work there is also plenty of play. As part of their animal enrichment program, the sea lions paint pictures, play with toys and seek out frozen fish pops - a favorite treat on hot afternoons! The innovative Jaguar Jungle exhibit brings together the animals, people, environment and culture of the Mayan civilization in a jungle rainforest setting. Spider monkeys, sloth and the most sacred animals in Mayan lore, jaguars are already waiting for you. 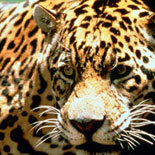 There are also recreated ruins, a dig site where young archeologists can unearth treasures and the magnificent jaguars. Two white tiger brothers are pouncing and prowling at Audubon Zoo. Named Rex and Zulu in honor of Mardi Gras royalty, these tigers spend time cat-napping but when they are in the mood to be frisky, they pounce and chase each other around their exhibit. These white tigers are not true albinos. Their fur is white, marked with chocolate brown to charcoal gray stripes, their eyes are icy blue, and their nose and pawpads are pink. Located near the Reptile Encounter the Komodo dragon exhibit has captured the attention of visitors from near and far. Known as the world's largest lizard, Komodo dragons measure six to nine foot long and weigh around 200 pounds. 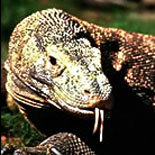 Komodos are found only on three small Indonesian islands - Komodo, Flores and Rinca. These awesome creatures can sprint up to 15 miles per hour...faster than most humans can run and are considered a national treasure in their homeland. While you are sizing up the Komodo dragons, stop by the Reptile Encounter (right around the corner) which celebrated it's 20th birthday on Sept. 5, 2007. The popular habitat houses more than 300 reptiles and amphibians of 100-plus species including a new panther chameleon exhibit near the entrance. Monkey Hill was originally constructed by the Works Progress Administration in the 1930s. The intent, legend has it, was to show the children of New Orleans what a hill looks like. Now, Monkey hill features a five-level treehouse to give visitors a monkey-eye view from the legendary tallest point in New Orleans. There is also a rope bridge, bronze lion sculptures, wading pools and plenty of "room to roll" down Monkey Hill which has been a highlight of a Zoo visit for generations. If you come to Audubon Zoo you can see the Southern white rhinos in the African Savanna exhibit. This species is declining in its native Africa due to poaching, human encroachment and habitat destruction. Only 12,000 or so remain in the wild, with about 160 in captivity. Recovery of the population is also hampered by the species' slow growth: mother rhino's are pregnant for 17 months! The Zoo is closed Mardi Gras Day, Friday May 4th, Thanksgiving Day and Christmas Day. Please call to confirm the holiday Monday schedule. The number will be on your eticket. 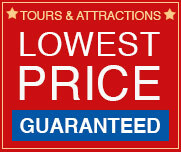 When visiting the Audubon Zoo, Free automobile parking and bus parking is provided at Audubon Zoo's large parking lot. Wheelchairs as well as wagons and strollers for children are available for rental at the Information Booth just inside the front gate | Smoking is only permitted in designated areas of the Zoo | Guests are required to wear shoes and shirts at all times. As a courtesy to others, modest dress is expected of all guests and revealing or offensive clothes are not considered appropriate. Guests wearing articles of clothing containing obscenities, vulgarities, or profanities will be asked to change their clothing or wear their shirts turned inside out. Admission may be denied if clothing is deemed inappropriate for the family atmosphere. Some language, gestures, and suggestive art on apparel may be considered inappropriate. The Audubon Park Commission reserves the right to address these issues with all guests and all clothing is subject to management review and discretion. 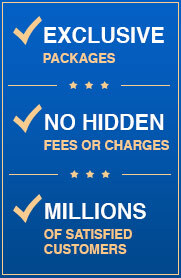 The cooperation of our patrons is greatly appreciated.